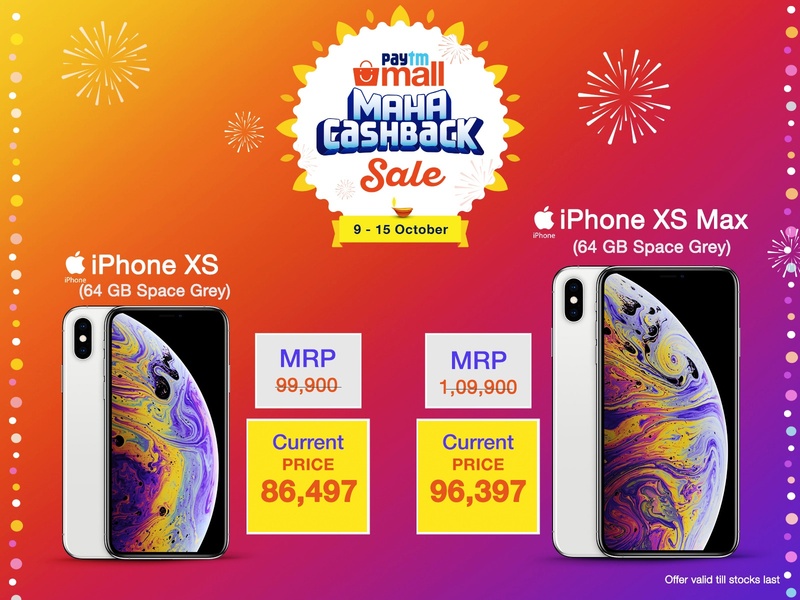 With so many sales going on simultaneously, Paytm Mall has been successful in keeping the price bar at its lowest for Apple’s latest2 iPhone XS and iPhone XS Max. The iPhone X (64 GB) (MRP: Rs. 99,900) is effectively available for Rs. 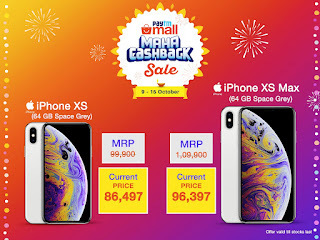 86,497 and iPhone XS Max (64 GB) (MRP: Rs. 1,09,900) is available for Rs. 96,397 respectively. Featuring a notch-screen, the all-new iPhone XS also comes loaded with a iconic notch-based Super Retina OLED display (5.8”) that delivers the most accurate colours, HD resolution, and true blacks. It further has the Intelligent A12 Bionic processor, 12MP rear cameras with up to two times faster sensors for smart HDRs, and front-facing TrueDepth camera having wide-angle lens delivers outstanding depth control in portrait mode and HD videos with up to 1080p and 60 FPS. Paytm Mall customers will also be able to enjoy no-cost EMIs with all major banks in India. They also stand a chance to win Renault KWID, Samsung LED TVs, Asus laptops, Gold Coins, and more with their purchases during Maha Cashback Sale. Hurry, log onto Paytm Mall now to buy the latest range of iPhones!